If you love s’mores, raise your hand. If you wish you could have s’mores year round, raise your hand. My family loves to camp. According to my kids, our camping trips are not complete until we bust out the graham crackers, Hershey chocolate bars, and marshmallows. I’m sure you guessed that the S’more Cookies are a big hit at our house. Now there is no need to pack up all your camping gear and head for the hills when now you can have the best part of camping in the luxury of your own home. Okay, so we will still continue to camp, but now we can enjoy S’mores even when we are at home. 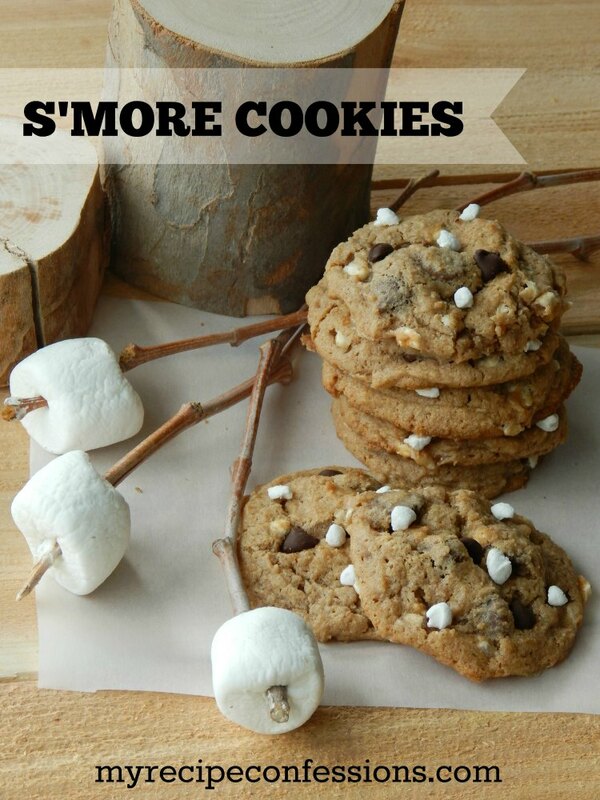 These cookies would not be possible with out Jet Puffed Mallow Bits and Mini Hershey Kisses. 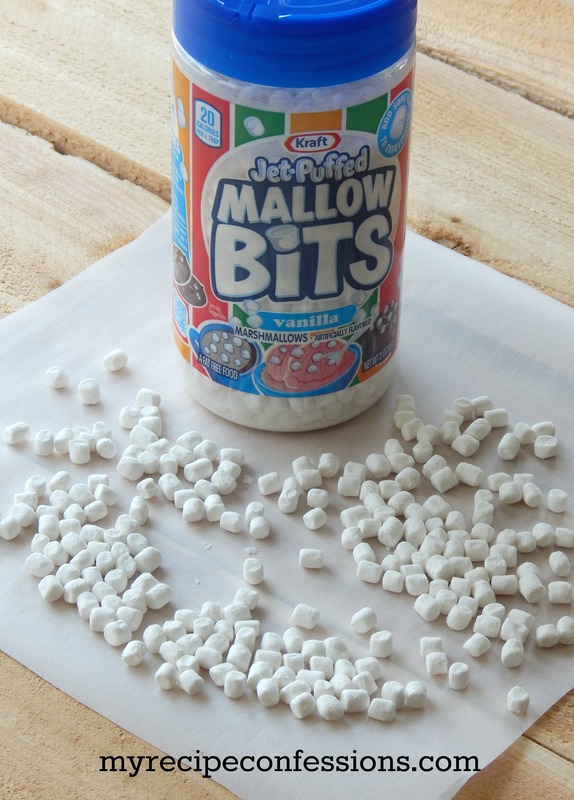 The Jet Puffed Mallow Bits are little tiny marshmallows. They are sold in a 3 0z. container and the only place that I have been able to find them is it at Target. The Mallow Bits are small enough that you get a tasty marshmallow in every bite. 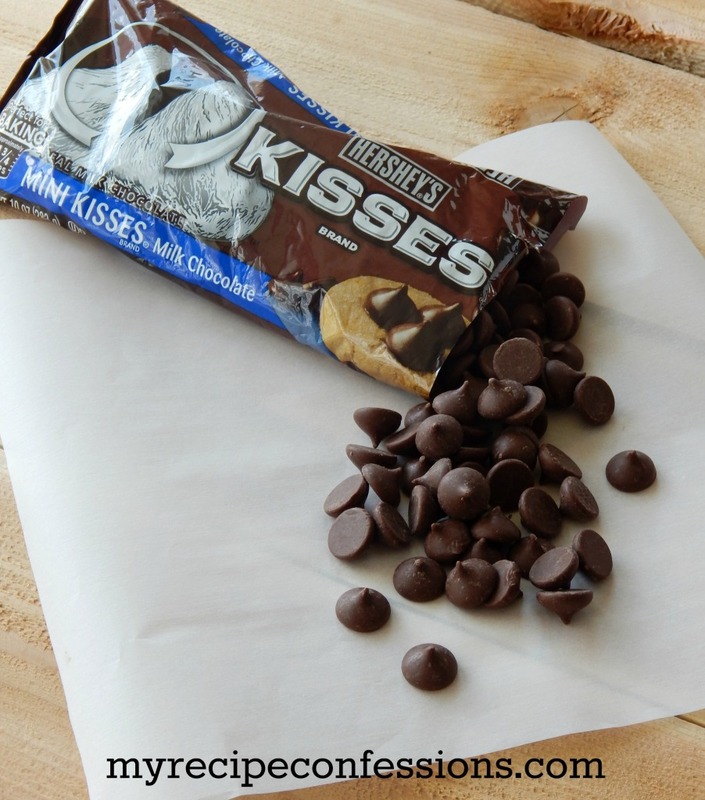 The Hershey’s Mini Kisses are the perfect size for these cookies. They are bigger than the regular chocolate chip but smaller than the regular Hershey Kisses. You can find the Hershey’s Mini Kisses in the baking section by the chocolate chips in your local grocery store. This cookie dough is really soft. So after I scoop the dough onto the baking sheets, I place them in the refrigerator for 30 minutes before baking them. 1. Cream the butter , brown sugar, and granulated sugar in a medium-sized bowl. Add eggs and continue to cream until the mixture is light and fluffy. Add the honey, vanilla, sour cream, and cinnamon and stir to combine. 2. In a small bowl, mix the flours, baking soda, baking powder, and salt together. Add the dry ingredients to the wet ingredients and mix well. Fold in the mini marshmallows, and the mini kisses until well combined. 3. Scoop 1 tbsp. of cookie dough onto a ungreased baking sheet. Continue this process with the remaining cookie dough spacing the cookie dough about 1 to 2 inches from each other. 4. Place the baking sheets with the cookie dough in the refrigerator for 30 minutes. Place the baking sheets in the oven and bake for 10 to 12 minutes or until the cookies are light golden brown.